At Alexandria Oral Surgery, our team is dedicated to helping patients achieve healthier, more functional smiles through complex oral and maxillofacial procedures. 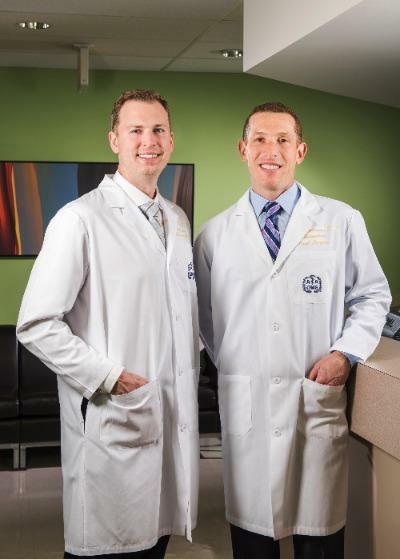 From dental implant placement to impacted wisdom teeth extraction, Alexandria oral surgeons Dr. Jeff Rothman and Dr. Kevin Brewer are dedicated to providing patients with comprehensive treatments in a comfortable environment. Our team is dedicated to providing patients with successful, lasting results. By working closely with other dental professionals, Drs. Rothman and Brewer are able to ensure that your upcoming oral surgery is safe, comfortable, and successful. At Alexandria Oral Surgery, we are dedicated to providing each patient with a comprehensive treatment strategy tailored to meet their unique oral health needs. By integrating advanced diagnostic tools such as 3D cone beam imaging into the treatment development process, our surgeons are able to create plans that address the cause of your dental issue while improving the overall health, function, and aesthetics of your smile. Ensuring patient comfort throughout the procedure is a key element to successful recovery and lasting results. From discussing your sedation options to going over post-operative care, our Alexandria oral surgeons are available to answer patient questions and concerns at every step of the treatment process. Located on Kenmore Ave. in Alexandria, our bilingual practice welcomes patients from Arlington, Fall Church, and throughout Northern Virginia. In addition to referrals, our practice welcomes non-referral patients as well as patients experiencing dental emergencies. To learn more about our available services, meet our oral surgeons, or schedule your consultation, contact Alexandria Oral Surgery today .